Improve your business development success by 70%1. We will get back to you in 24hrs. Keep track of your professional communications. Automatically record all communications (e.g. calls, SMS, emails). Add notes against each communication, and schedule follow-up calls. Always be prepared for your next call by reviewing your communication history. Keep in touch with your contacts by specifying how often you want to stay in-touch, and automatically get reminded on who to contact. Never lose touch again and stay warm with those who matter most. 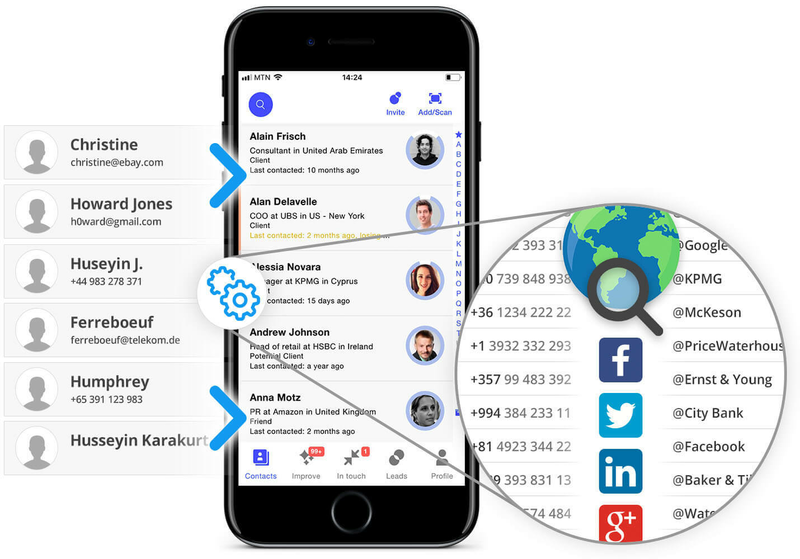 Update your contacts’ details with a single click, Covve automatically identifies the job title, company, industry and location of your contacts. 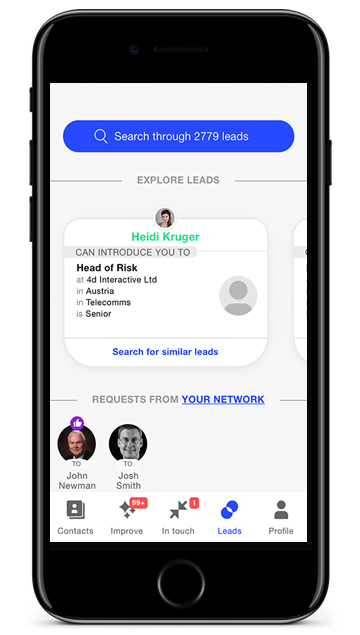 Find the best person to contact in a company, industry or country using Covve’s intuitive and advanced search and filtering capabilities. Don’t depend on your desktop, laptop or mobile. Bring all your contacts together and access them from anywhere. Find hidden opportunities by exploring your network. Plan your meetings before every business trip by using Covve’s intuitive contact maps to identify key people to meet with. Spot opportunities in your network as you navigate your contacts through interactive infographics, identify gaps and use your connections to fill them. 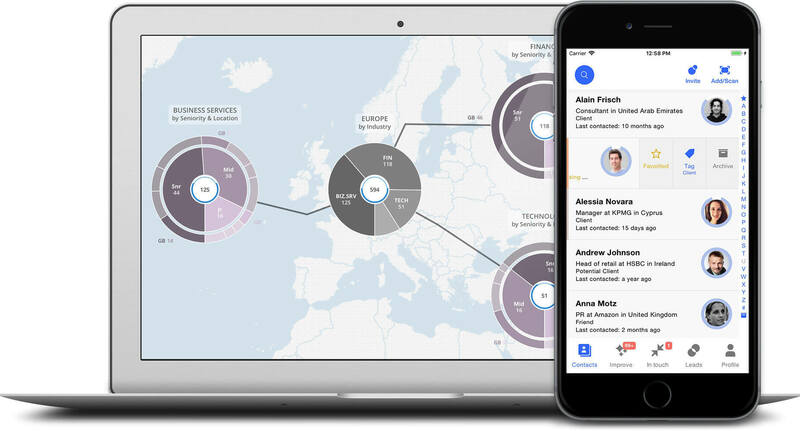 See how far your colleagues’ contacts can take you into key countries, companies and industries through Covve’s intelligent interface and customized monthly reports. Expand your reach as you link with your colleagues and access new opportunities. 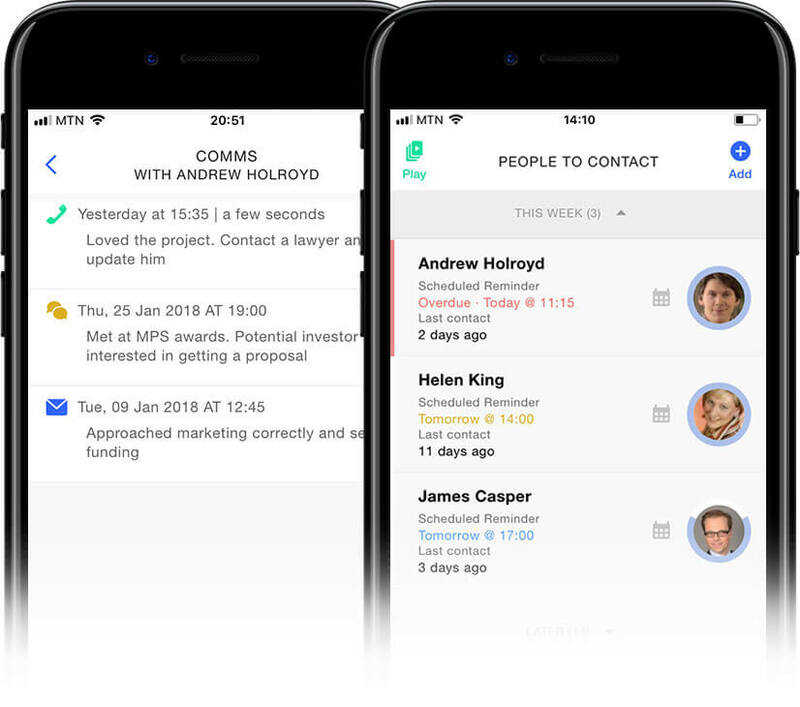 Access the combined networking power of your company by privately sharing contacts with your colleagues. Gatekeep your contacts using Covve’s anonymous contacts sharing mechanism. Get a warm introduction to the right person and increase your success rate. Simple setup, simple pricing, no complex integrations just download the app or sign-up online. Connect with Outlook, Gmail and iPhone and access your fully functional account within minutes. Safeguarding your data is our priority. Covve will never resell, share, or expose personal information about you or your contacts without your consent. It is stored securely, access is encrypted and Covve’s systems are regularly audited. Adjust and improve using analytics. Access address book diagnostic reports and advice to improve your company’s contact management. Use analytics and progress reports to understand where your organization is and where it needs to be.